In recent years, the Dutch black metal scene has shown a number of prodigies. 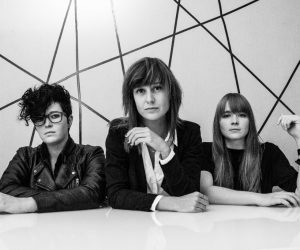 Young acts with a fresh approach to the iconoclastic genre, with little regard for purism and conservative views. 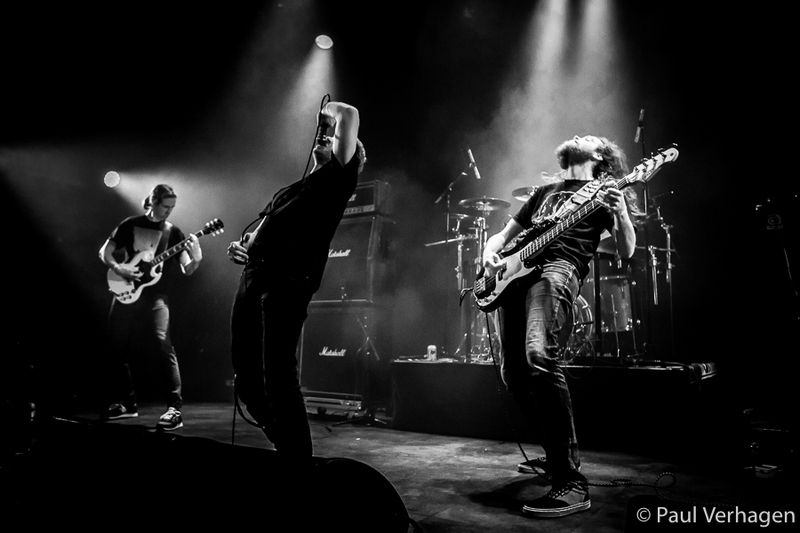 During Roadburn, you’ve already been able to sample their wares throughout recent editions, but this year on Roadburn-Saturday (13th of April) they will unleash their full creative force with Maalstroom in the Patronaat. 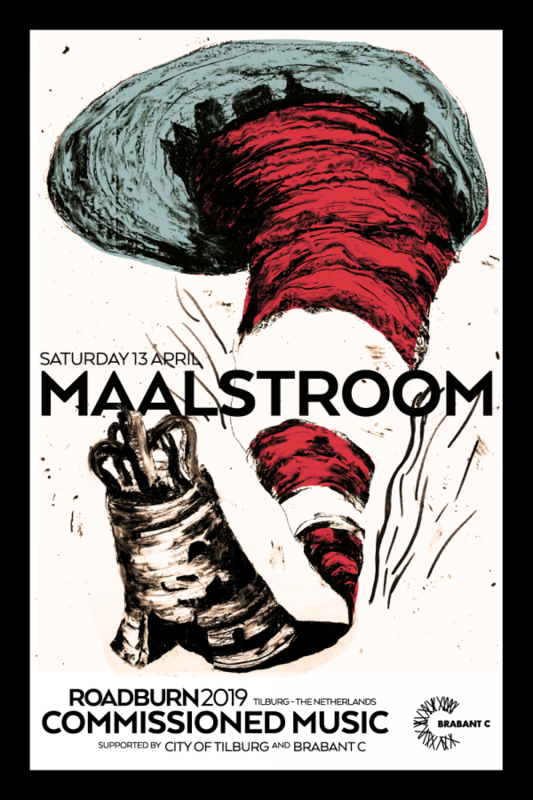 Maalstroom, which translates as… well, maelstrom, is a cooperative piece, especially done for Roadburn, with band members from Terzij de Horde, Fluisteraars, Turia, Laster, Verwoed, Grey Aura, Witte Wieven, Verval, Nevel, Project Nefast, Svartvit and Hadewych. During the day you will first witness rituals by a number of these bands, followed by the commissioned piece itself. We had the pleasure to ask O. 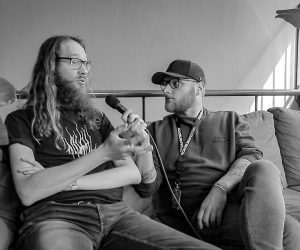 (Turia, Iskandr, Galg, Nusquama and others) and C. (Witte Wieven) about the project, the group of artists and what we can expect at Roadburn 2019. How did the whole Maalstroom concept take shape? O: Maalstroom sprung from an idea that Walter proposed. 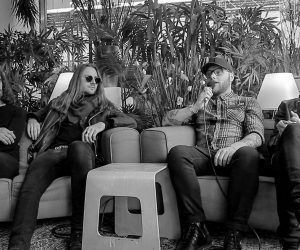 He felt that there’s a lot happening creatively with a group of relatively young bands and musicians, who are all creating ‘black metal’ in their own image. He then contacted Johan van Hattum (Terzij De Horde, red.) 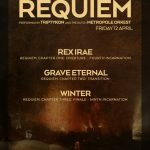 to address and connect a number of people with the question if they considered it possible to create a unique piece of music together for Roadburn and perform that during this edition. This happened last summer and obviously we were all interested. It’s an enormous honour and privilege if a festival of such importance and renown gives you full confidence and the liberty to do this, even though it’s a young group of musicians. So we’ve been working on it ever since. Conceptually it is, at least to my eyes, a non-linear narrative about the conflictive nature between the monotonous life in a small town and the chaotic upheaval of living in a city, including all conflicting emotions this brings. How do you even start realising something like this? And was the group of involved artists determined from the start? C: Working with a larger group of musicians is obviously not the most practical format during writing, so we formed smaller groups and duos to start working on the core ideas of the piece, which we later connected. We found our inspiration in a fictional tale created by the more literary minds in our company. Based on musical ideas, we gathered some additional musicians to complete the formed groups. These are all people from the Dutch black metal scene, who are now involved in the execution of the piece. 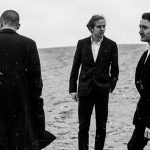 Who exactly is involved in the project and how did you work on connecting the separate pieces of the performance into one? And do I understand correctly that part of the group has created it and part is involved purely for execution? C: Some members of Turia, Terzij de Horde, Fluisteraars, Laster, Verwoed, Grey Aura, Witte Wieven, Verval, Nevel, Project Nefast, Svartvit and Hadewych are involved in Maalstroom. I think in the end, we’re all contributing to this project in a creative manner, whether that’s musically or visually. We did invite some guest musicians, of whom we are convinced they fit in well with this piece. Some people have been appointed to really watch the whole and the tension throughout the piece, though we took each other’s work into account during writing. This has worked out pretty well and I believe the four parts of the piece flow together seamlessly. All of this actually sounds like it requires some serious project management. How do you get all of this coordinated? O: Yes, this was indeed quite some project management. That’s of course always the case with bands, but on a smaller scale. Some people take the lead in planning and coordinating, others are more involved with the contents and musical execution. It really requires a lot of talking, meeting and organizing. 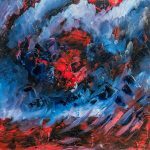 Could you share a bit more about the theme and how it all connects? O: As C. explained already, we started from a sort of narrative, a text that was written on beforehand by a couple of members. The musical whole follows this as a non-linear narrative, which makes it easier to make choices in music and visual design. More might be announced on beforehand, but I would prefer not to give away too much at this point. The continuous theme is the process many of us have experienced: moving from a smaller village or municipality to a larger city or instead, moving back. The peculiar interaction between boring familiarity of the known and the overstimulation of being in an anonymous mass. This may sound a bit pretentious now, but I think it will be pretty recognizable when it is combined with the lyrics. Was the choice for Patronaat one you made or was it simply practical? O: After Walter initiated this project, it was pretty soon clear that this would take place in the Patronaat. That’s the choice made by Roadburn, so it’s not like we asked for it. But obviously, this is something we are quite happy with: it’s a beautiful and intimate venue and it will be the last time Roadburn uses it. That makes it an even greater pleasure for us to be able to play there. Now, Roadburn has a pretty open-minded audience that appreciates innovation. Is the response positive to the project elsewhere, for example in the black metal scene itself, which is not always as tolerant of innovation? O: The response we’ve received has been supportive and positive, at least everything that I did hear about. 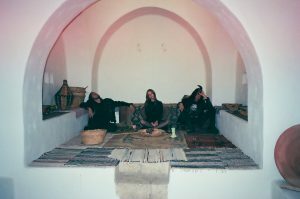 The project consist of people who’ve released plenty of records and played numerous shows, so the connection to the black metal scene would appear evident. It is important though to state that we do not intend to represent the Dutch black metal scene in any way. We’re not ‘the definite product’ or ‘best of’, but a group of artists that follow their own artistic vision. If people feel that this music should be different, we can only encourage them to pursue their vision. But a backlash? I don’t think so. C: I feel the same way. 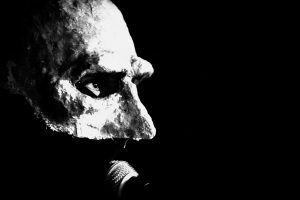 The project is definitely not meant to be a showcase of the Dutch black metal scene or to be representative of it, but rather intended as a performance that shows a new branch of the genre. I would like to ask you what connects you as a group, apart from the project and playing a form of black metal. What are your common grounds? C: I honestly can’t put my finger on what our ‘common grounds’ are, but I think we all have a knack of experimentation within music. Whether that’s in sound, song structure or themes and unorthodox instruments. 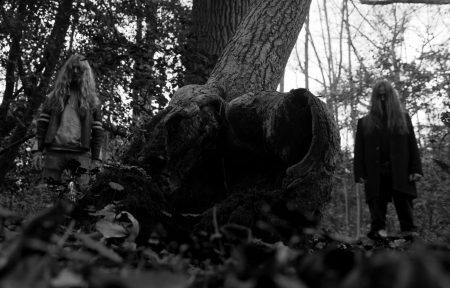 O: I think it’s what C. says, that we mostly find each other in the far corners of what can be called black metal. 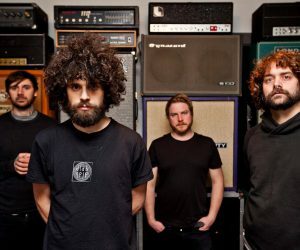 There are the clear black metal elements, such as tremolo picking and blast beats, but also influences from psych and post-punk show up. This open attitude enables us to be pretty liberal in our creativity, even though some of us only just met. I mentioned the black metal scene before, and whether intended or not, Maalstroom is affecting its definition. How could you capture what black metal is or what it means in this context? O: Black metal is very important as a musical tradition to each and every one of us. Most of us have grown up listening to it and each is active in the scene in one way or another in the Netherlands, which I think is currently a very healthy scene. I don’t think Maalstroom really shapes or impresses on that genre in any way. Apart from, maybe, the fact that these are all young bands with individually different approaches to the genre. If you happen to follow some of these bands for a longer period of time, you’ll probably appreciate it. And if you don’t, you should probably see something else. We’re not there to fill in anyone else’s expectations or direct them, that conformist idea conflicts with what black metal means to me. As artists, you mostly knew each other before you started. Has working together and finding inspiration changed something in this group? Do you inspire or influence each other in some way? O: The cooperation is working very well so far. I think that in itself is an inspiring way to bring people together. In the end, we’ll be getting on the stage together and everyone will do their part to make this a special occasion. 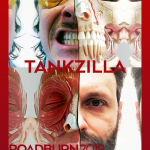 That ensures a connection and I’m certain this will persevere after Roadburn as well, even though it was already there before. If this will take other shapes or forms in the future, time will tell. C: I really enjoy working with this group. It has really helped me find a lot of creativity within this project and I’m really proud of the piece I’ve been a part of, musically and thematically. What I can say about that is: expect something atmospheric. We’ve all experienced each other’s creative process, so I expect some of us will explore this further, perhaps in a different form, after Maalstroom. Will Maalstroom be a one-time thing? 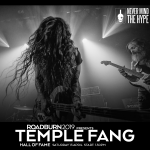 Can you maybe share a little bit of what visitors can expect during Roadburn? O: What visitors can expect is an hour of high-quality black metal, approached in different forms but very consistent in itself and with the style of music the joint bands represent. At least, that is what we strive for. The rest of the day is very self-evident; all Dutch black metal bands, one after the other. The rest visitors will have to see during the day for themselves. So what about the Maalstroom beer that will be available at Roadburn? O: I’m afraid I can’t say much about the beer yet, as I haven’t tasted it yet. But the brewery that made it, Nevel, produces numerous fantastic beers so our expectations are high. It’s made with herbs grown locally, so in that sense it connects to our background: from the villages and towns to the big city from the farm lands to the cups of Roadburn visitors. Pretty cool. 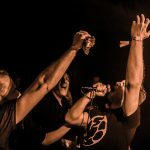 What acts do you hope to catch during Roadburn? O: Personally I’m really looking forward to see Triptykon with a full orchestra, Pharmakon, Have a Nice Life and Peter Brötzmann. C: I would love to see Molasses, Anna von Hausswolff, Heilung, Lingua Ignota, Treha Sektori and Craft. But of course, I’ll be heading to see Drab Majesty for some dancing, yet mostly I will just enjoy what I run into. The Maalstroom piece will be performed on Saturday, April 13, 23.00-0.30 in het Patronaat. More information to be found at the Roadburn site.